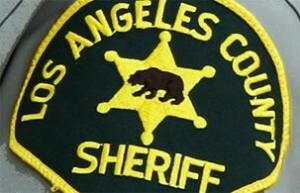 LOS ANGELES – A Los Angeles County sheriff’s deputy who was fired in 2018 for using unreasonable force while arresting a man in Lancaster in 2016 has been reinstated. Michael Courtial was fired last June but has since been reinstated and assigned to the sheriff’s Palmdale station, the Los Angeles Times reported. An agreement to reinstate Courtial was reached with the input of county counsel but was done without the sheriff’s involvement, Sheriff Alex Villanueva said in a statement. Courtial’s termination stemmed from an incident that occurred just after midnight on July 21, 2016, in Lancaster. Courtial and other deputies responded to reports of a man trying to break into vehicles along Elm Avenue and located the man in a pickup truck, according to a memo by the Los Angeles County district attorney’s office obtained by The Times. Courtial charged toward the truck and kicked it as other deputies approached the truck, the memo said. He opened a door of the truck and ordered the man not to move, shouting he would shoot the suspect if he disobeyed. Courtial told another deputy to use a Taser on the man and the deputy complied, then Courtial dragged the man out of the truck and onto the ground, the memo said. As Courtial pulled the man from the truck, he punched him several times and continued to hit him in the back and shoulders as the suspect was on his stomach with his right hand under his body, the memo said. The suspect was hospitalized and treated for a traumatic brain injury, a bone chip fracture, Taser dart wounds and scrapes, the memo said. However, it was impossible to know whether all the injuries were caused by deputies because the man, who was found to have a blood-alcohol level of .209, said he had head-butted someone before the altercation with deputies. Courtial was not prosecuted by the district attorney’s office for assault under color of authority because investigators said the man was resisting deputies when Courtial used force. The district attorney’s office did, however, find Courtial’s actions to be excessive. The sheriff’s department found Courtial in violation of department policies, including one governing de-escalation and unreasonable force, The Times reported. “You used force which was unreasonable and/or unnecessary and/or excessive… when you punched [the suspect] numerous times after throwing him to the ground while there were adequate personnel on scene to control [the suspect],” North Patrol Division Chief John Benedict wrote in a disciplinary letter to Courtial, which is partially redacted, and was obtained by The Los Angeles Times. Courtial is the second deputy who was fired prior to Villanueva’s election to return to duty since the new sheriff took office. Villanueva was heavily criticized last month for his rehiring of Deputy Caren Carl Mandoyan, who was fired for violating department policies regarding domestic violence and making false statements to investigators. Video surfaced in March of Mandoyan attempting to break-in to his ex-girlfriend’s apartment in 2014. The ex-girlfriend, who was also a sheriff’s deputy at the time, accused Mandoyan of domestic violence and sought a temporary restraining order against him. In an interview with NBC4, Mandoyan said the video doesn’t tell the whole story. He told NBC4 he and his ex-girlfriend later exchanged text messages and they showed the incident was not violent. Mandoyan served as a volunteer and advisor during Villanueva’s campaign for sheriff last year, but the sheriff has denied that played any role in Mandoyan’s reinstatement. At a Los Angeles County Board of Supervisors meeting last month, Villanueva said he had only rehired one fired deputy, Mandoyan, and that he would hold off on any other reinstatements. 5 comments for "Deputy reinstated after being fired for unreasonable force in Lancaster"
We need excessive force here in the AV! Criminals are more brazen & violent. Clean up the AV & take the trash out! If you are not committing crimes, you have nothing to worry about. BACK THE BLUE NOT THE CRIMINALS. Courtial sounds like another liability for the taxpayers. I am sure the residents of Palmdale are thrilled to have him back on their streets. He sounds like a better fit for Rex’s thug force under the leadership of D’Errico.